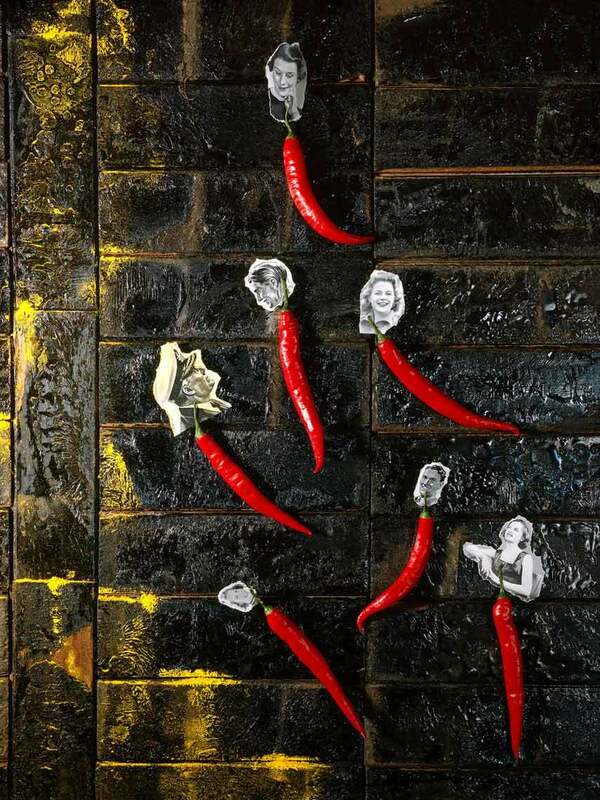 Chilli People - Red Chilli peppers on a black background of tar with monochrome heads torn from old magazines suggesting the peppers have human heads. Paul Biddle taught himself how to use an 8" x 10" camera by making this photograph in one exposure. This surrealist photograph won the coveted Gold Award from AoP - The Association of Photographers in London.